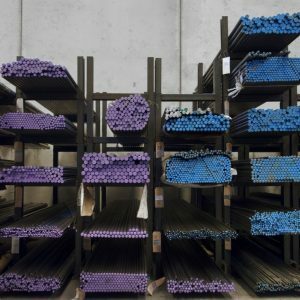 Carbon steels for quenching and tempering may be used with good results in most applications. Quenching may also be carried out in water without large risks. The grades C40E, C45E are extremely suitable for the production of machine parts subject to mean stress els and for surface hardening by flame and induction hardening. The latter is better as it gives more homogeneous results, and a precise regulation of the thickness of the hardened layer. In order to avoid failures, the cooling medium during quenching must not be too drastic, using 30% polymers or oil. 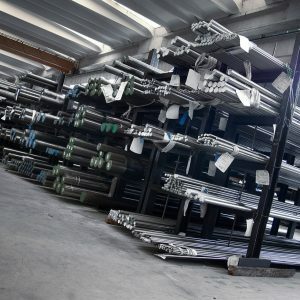 Their most a mon uses are for keys, racks (C45E induction hardened), crankshafts, rods, columns for presses. C40E normalized is recommended for the latter products as it is better at preventing quick-aging due to heat and is structurally] rigid. 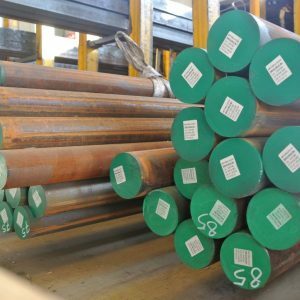 The steels in this group are used for the production of mechanical components, where a high surface hardness is required together with good core toughness. In order to satisfy this requirement, surface hardening is carried out on pieces which have already been quenched and tempered. A treatment, a stress-relieving operation at about 180°C is recommended. Hardenability for this family of carbon steels is normally taken from the Jominy curves. 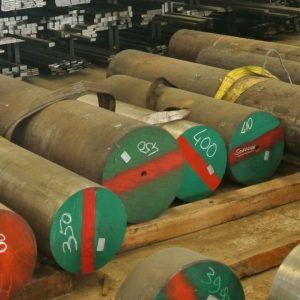 The alloy steels for quenching and tempering are easily machinable with a hot or cold process. They have good hardening penetration and good impact strength. They can be quenched and tempered, and tempering may be varied depending on the desired mechanical characteristics. The tempering tables are therefore very useful. Large-sized parts are difficult to quench and temper to the core or even to a lower depth, therefore the resulting characteristics very similar to those of a normalized part, except for better toughness values.